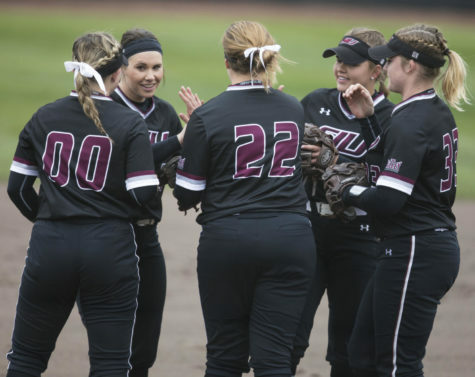 It took extra innings that extended late into Friday night, but SIU softball will play for the Missouri Valley title for the first time since 2012. 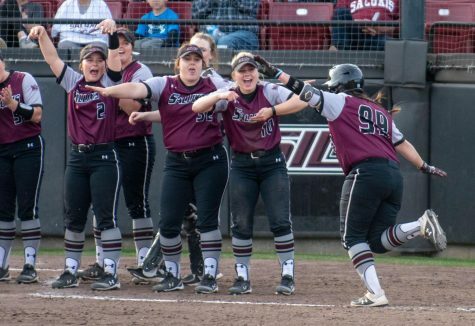 Southern won two games on Friday to do so, beating Missouri State 9-3 earlier in the afternoon and tournament host Illinois State in a 2-0 eight-inning thriller. 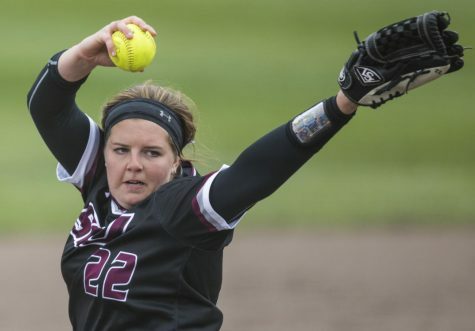 SIU received strong pitching performances in both games from its most experienced pitchers. In the first game of the day, sophomore Brianna Jones led the way for SIU. She struggled early in the game, giving up two runs on four hits through the first two innings, but from then on she was in prime form. Through the remaining five innings, Jones surrendered just one more run on four hits. 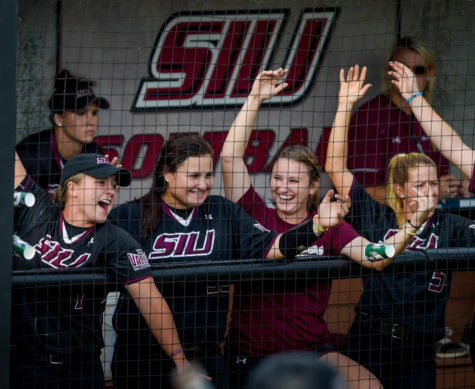 However, her performance was rendered unnecessary as SIU’s offense continued its recent hot streak. The Salukis exploded for six runs in the second inning to turn a two-run Bears lead into a four-run Saluki lead. 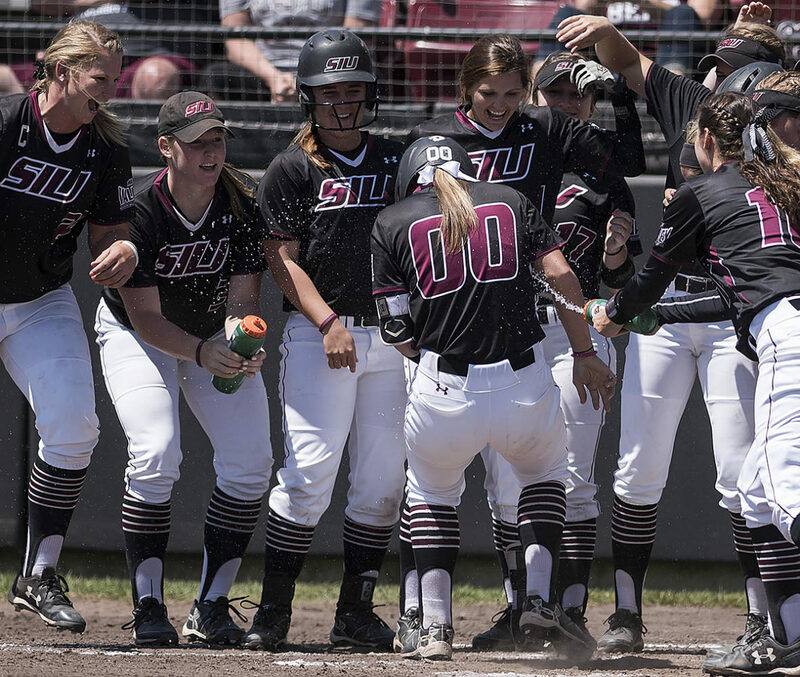 SIU batted around in the inning and received RBI hits from sophomore left fielder Eyrika Brandenburg and senior first baseman Shaye Harre. Five of the six runs in the inning were scored with two outs. Harre tacked on some additional run support in the fifth with a two-run home run, the 31st of her career. The second game of the day would be an instant classic with a pitchers duel for the ages. 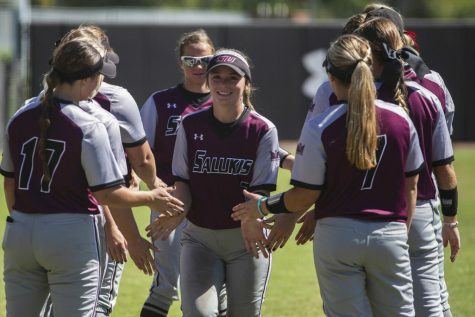 SIU junior starter Savanna Dover and Illinois State junior starter Sarah Finck traded punches all game. Through the scoreless first five innings, the two teams combined for five hits — three off Finck, two off Dover. In the two teams’ regular season series April 1 and 2 in Normal, they combined for 46 runs on 65 hits in three games. Tensions began to mount in the fifth inning. 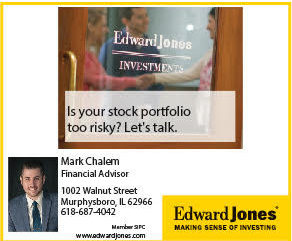 After SIU failed to get a runner home from scoring position twice earlier in the game, the Redbirds had their best scoring situation after Brandenburg misplayed a fly ball to left which placed runners at second and third with one out. However, Dover pitched her way out of the first of many jams to come with a strikeout and foul out to end the inning. The junior from Canton, Georgia, struck out seven batters in the game, her second highest total on the season. 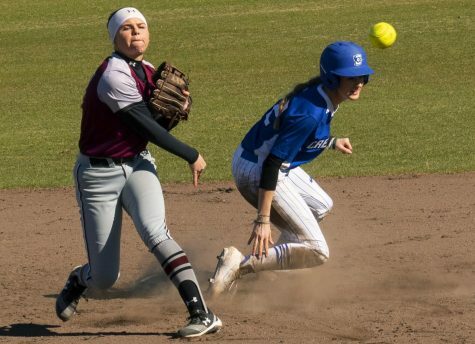 SIU had yet another opportunity to break through in the seventh with runners at second and third, but was unable to score. Shortly after, the hosts looked prime to end the game and send its fans back home happy. 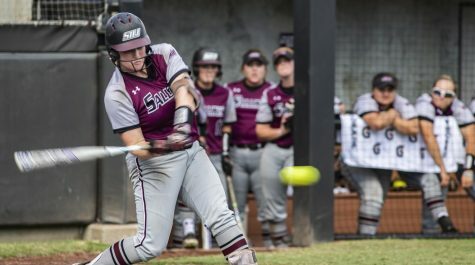 Senior center fielder Annie Heineman singled to lead off the inning and, after a sacrifice bunt, Dover hit two consecutive batters to load the bases and Saluki coach Kerri Blaylock looked to her sophomore ace Jones to manage the situation. She got the next batter to fly out shallow enough to keep the runner at third before having to face the recently crowned MVC Player of the Year in senior catcher Jordan de los Reyes. Jones set her down with a full-count strikeout to keep the game alive. Southern seized its momentum and took full advantage with a little help from Illinois State. Brandenburg reached on a Redbird error and took the extra base, followed by a single from Harre up the middle. 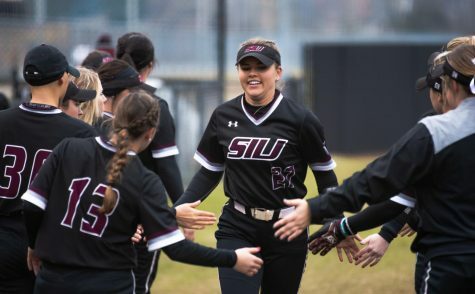 Finally, eight innings after the game started, SIU’s first run was scored on another Illinois State error on a sharp groundball off the bat of senior centerfielder Merri Anne Patterson. Freshman catcher Katelyn Massa added on another run with a sacrifice fly to ease some more pressure off Jones in the coming half inning. The sophomore pitcher then made quick work and eliminated the Redbirds with three quick outs. SIU will face Northern Iowa in the 1 p.m. championship game Saturday with a ticket to the NCAA tournament on the line. Northern Iowa earned the No. 1 seed in the tournament and defeated No. 4 Wichita State on Friday to reach the final. In their regular season series, UNI took two out of three games at home, one of only two teams to take an MVC series from SIU this year.